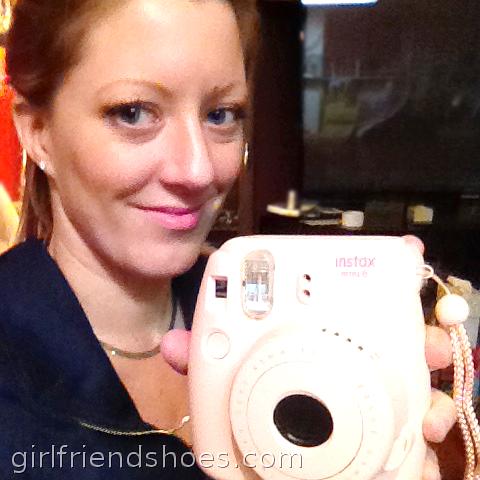 I’d like to tell you about my awesome new toy, the Fujifilm Instax Mini 8 camera. It’s so fun! The first time I saw these adorable credit card size photos I was at a friends to feed her cats while she was out of town. She had a bulletin board covered in all sorts of mini pictures. Of course I asked her when she returned and knew I wanted an Instax Mini 8 as well. I love that it’s a bit different. I also love that it’s instant! Since everything seems to be digital now, having that option to have the picture in your hand in seconds is a nice treat! 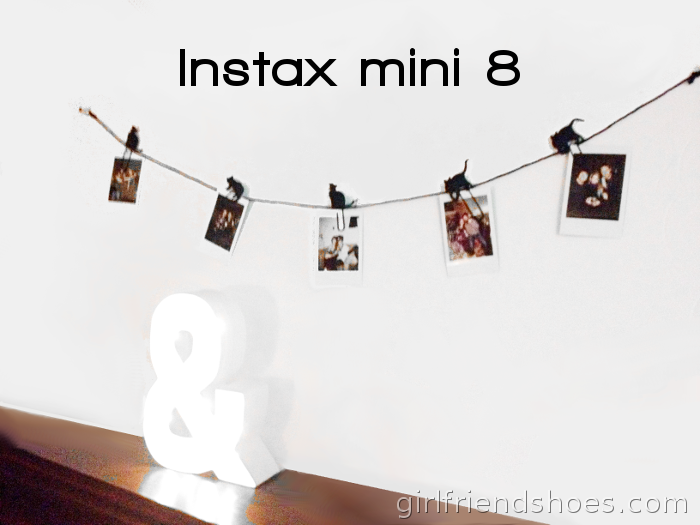 I found this adorable photo clothes line with cat clips to hang the pictures with. It costs at approx. 10 bucks and up for a package of film for 10 pictures. At a buck a pic I figure I’ll only use it when I really want the picture to be instant and in other cases I’ll use my digital Canon. It does have 4 different light settings and an automatic flash so you can use it pretty much anywhere. The camera itself starts at about 80 bucks and is totally worth it. Makes a really cool gift idea! It comes in 4 colors (pink, blue, yellow, white) with two new colors to come out sometime this year (darker sort of berry colors). 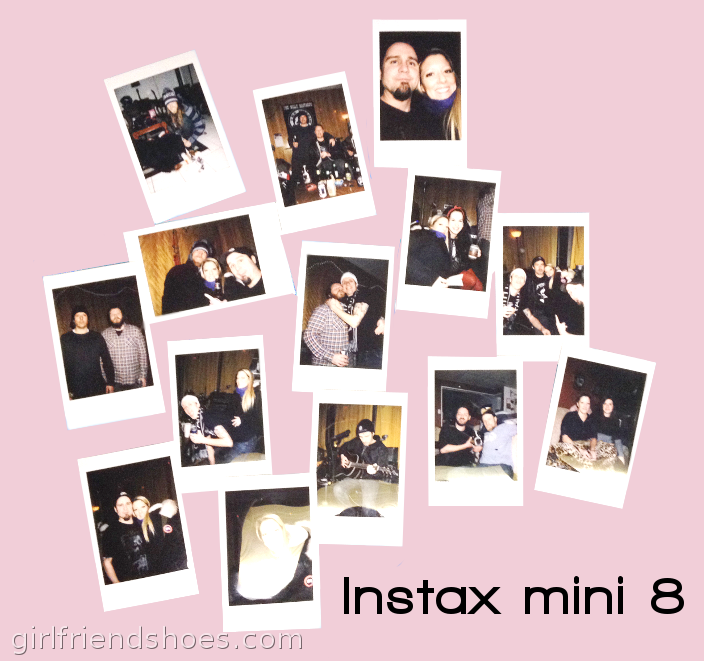 I am really loving my new intax mini 8 and so far every time I’ve used it I’ve had comments about how cool it is. I’m pretty excited to see what kind of cute ideas I can come up with to display these suckers. Any ideas?